Named Best Beach Bar of 2013 by readers of Islands magazine, Rick’s is situated atop Negril’s West End cliffs. Adventurous guests can cliff jump into the Caribbean, while those less daring can watch the locals dive in from higher perches. Rick’s is one of the best places to watch the sun set in Jamaica and has been a Negril landmark since 1974. With 52 margarita flavours and 22-ounce beer bongs, Margaritaville is definitely the destina­tion for fun. No visit is complete without a ride down the 120-foot waterslide that takes guests from the rooftop terrace to the warm Caribbean water below. Located off Treasure Beach, St Elizabeth, Floyd’s Pelican Bar is truly unique. The rustic façade made out of driftwood gives this beach bar a laid back vibe, with crabs scuttling across the floor and pelicans flying above. Guests can enjoy a Red Stripe in the cabana then go for a swim in the waist-deep water. 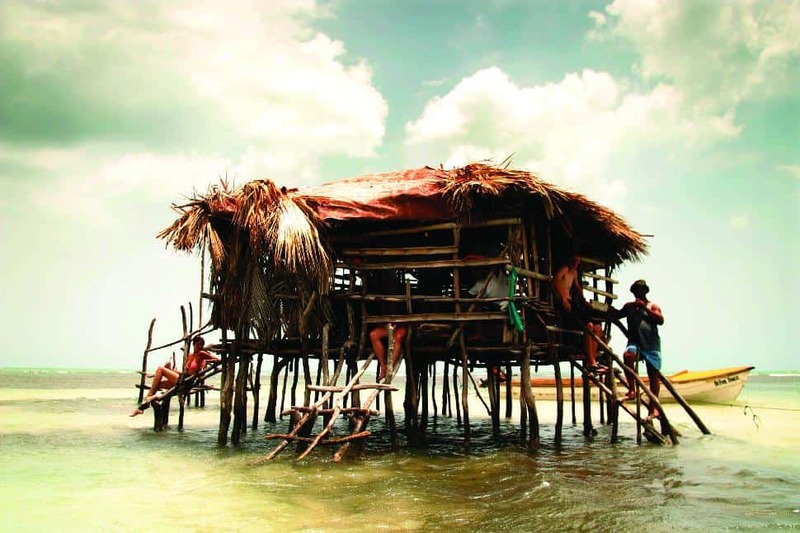 Situated on a sandbar just 20-minutes off the coast by boat, the Pelican Bar is a unique Jamaican experience that you don’t want to miss. Guests can enjoy authentic Jamaican rum at the Blackwell Rum Bar in Negril. This gem is hidden within actual cave walls at the sophisticated Caves Hotel & Spa. The ‘Cliff­hanger’ signature cocktail is made with freshly squeezed watermelon juice, a hint of ginger and a specialty rum known by the locals as Black Gold. The bar’s secluded location opens up to the turquoise sea and provides an intimate and unique experience.